Yesterday, I spent ninety minutes on the phone catching up with an old high school friend. He’s traveled to every continent on this planet except Antarctica, and will likely do that at some point, I’m sure. He links to travel blogs and challenged me to take a shot of the Arch that hadn’t been done before. Since “Just Visiting” is getting back on track as an actual road-trip blog, it’s only fitting and I accepted. Now, I have pictures that my dad took of me at the Arch in 1968, when it had barely been open a year. I was about five. When I moved to St. Louis in 1988 or 1989, I didn’t drive and didn’t know anyone with a car. 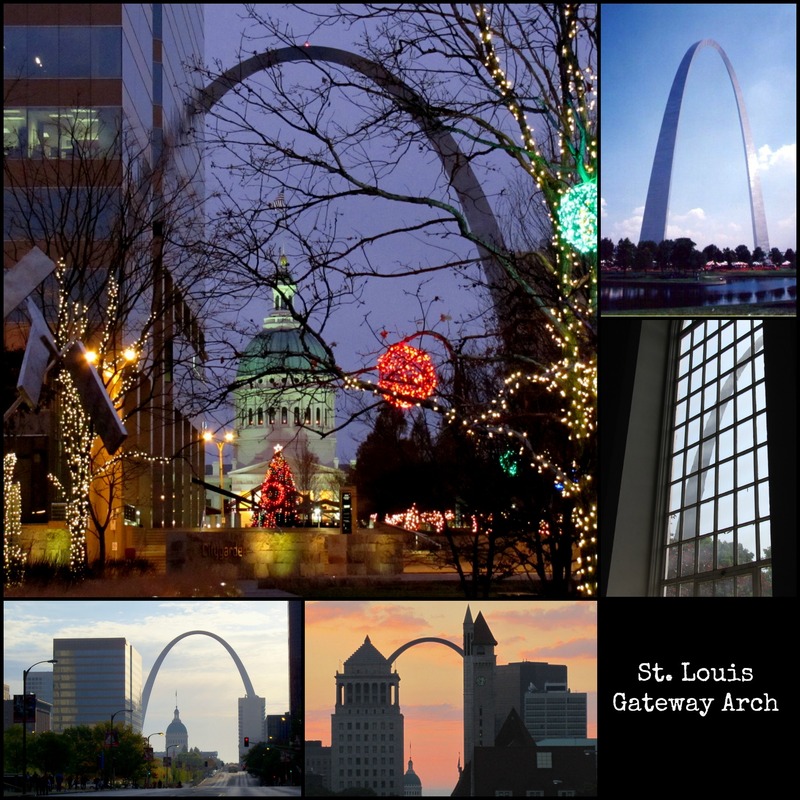 I got to know the Arch grounds and the surrounding downtown neighborhood intimately. I’ve walked it. I’ve explored it. I’ve gotten drunk on the Landing and played slots when the Admiral was a casino. I am here to tell you that I don’t believe there is a shot of the Arch that hasn’t been taken before. Just Google-image-search “St. Louis Gateway Arch.” Your return will get a gazillion images, including the architect’s drawings and crayon drawings. Do the same search on Flickr, and you’ll find more. You learn to work with it. The thing about the Arch is that, obstructed or unobstructed, morning or night, winter or summer, it’s a gorgeous piece of engineering. Its stainless steel exterior plays with light – no two mornings are ever alike, nor evenings, because of the changing nature of sunrises and sunsets. I’ve seen foggy mornings where half of the structure is lost in mist, and at 630 feet tall, that’s pretty impressive. If you watch sporting events originating from St. Louis, like baseball or football, you’ve likely seen local “beauty shots” incorporating it. Standing beneath it and staring straight up to its apex can almost as exhilarating as riding up the capsule-like elevator to the top, and feeling the whole structure sway slightly in the wind as you look out of the windows at the top. It’s perfectly safe, though, and the view is spectacular. Don’t forget to ask the docent how they change the red airplane warning light outside on top! For more information about the Arch, hours, admission charge to the top, link here. The Arch, its grounds, and the Jefferson Expansion Memorial (which includes the History Museum in Forest Park), are administered and curated by the National Park Service. MzSusanB visits a local landmark.